Is Social Media Healthy for the Digital Health Conversation? What did you think about Mark Cuban's social media call to have people get quarterly blood tests? It worried many people in the #DigitalHealth world. While many of us believe in the democratizing nature of social media, we saw in Cuban’s proposal—and the angry response of many doctors—a problem. Social media can easily destabilize the nature of authority in digital conversations about healthcare. To many people, Cuban, because he is rich, television-famous, and Twitter-active, is far more of an authority than, say, Eric Topol. Or, for that matter, their own physician. Could the public conversations Twitter enables give a platform to scientific thinkers a greater voice in contemporary healthcare debates? If an ordinary doctor tweets to Cuban, he is suddenly talking to a lot of people. Social is, in fact, a way to counter unscientific thinking in a swift and decisive manner. To assess the value of social in contemporary healthcare conversations, we asked a few socially savvy doctors: Is social media healthy for the #DigitalHealth conversation? 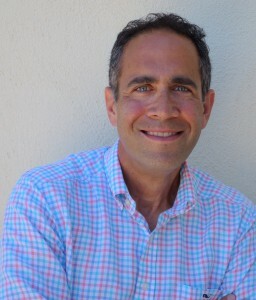 David Shaywitz, M.D., Ph.D, is the Chief Medical Officer of DNAnexus and co-author, with Lisa Suennen, of Tech Tonics, the book and now podcast. “I’ve tried to take a nuanced view on the role of social media—for example, I’ve argued that “No, Most CEOs Shouldn’t Be On Twitter,” but I’m obviously a tremendous fan of the medium, and have met a remarkable range of exceptional people through such ‘Twitter romances,’ as my co-author Lisa Suennen has put it (we met through Twitter). I love the opportunity to hear what interesting folks are saying, and it’s unambiguously great to hear folks like distinguished journalist Charles Ornstein and Cuban debating important and difficult topics, and especially great to hear so many others weigh in. It also provides insight into the mindsets that different people bring to the table—for example, the way so many doctors swarmed on Cuban was pretty interesting. I know a number of doctors who thought that the frequent testing Cuban was advocating was likely excessive, but also that the reflexive condemnation of him was also a bit excessive and rather politically correct. This, too, was brought out in the twitter dialog—for example, by iconoclastic urologist Ben Davies, one of my very favorite folks on Twitter. “Social media is absolutely healthy and necessary for the healthcare conversation. We are in an era in which consumers, both young and old, are more likely to go online to answer general healthcare questions than ask a doctor. Further, we know that the information they find can impact their healthcare decisions, and even their choices of provider or medical facility. Consumers are also more willing to share information about their health on social media sites, which clearly has implications for how online communication influences the conversation around transparency and authenticity in healthcare. Doctors, as respected members of society, are also highly revered for their opinions when they are shared socially, which is even more reason to help boost the conversation and meet consumers where they want to share and discuss. Social media is also a vehicle that helps to scale both bad and good healthcare information. Point is: The dialog is happening, and it’s happening in a transparent and dynamic way. The conversation with Mark Cuban is a great example of this. Clearly, he is a proponent of do-it-yourself medicine, which is aligned with the consumerism of healthcare, of which I’m a fan! That said, there’s a point at which scientific thinking and interpretation comes into play, which was represented by some of the push back to Cuban from the medical community. The power of that conversation that happened on Twitter was that we see, and can partake in a democratic way, in that conversation and hear firsthand that consumers not only want to access to their own data but even give recommendations on when and how frequently to do lab testing. The challenge, of course, is in the interpretation of that information. The medical community was able to weigh in on Cuban’s call to action of quarterly blood testing to say, ‘Hey, it’s not a good idea,’ because there are too many risks for false positives and unnecessary medical testing/interventions. In other words: ‘We, as doctors don’t recommend that, but thanks for bringing the question to the table.’ Mark Cuban is not the first consumer to have proposed the idea. He’s just a much more highly visible consumer who put the question out there and elevated it so the medical community answered it. Now, individuals who have pondered the same question as Cuban know what the medical community (leaders in their fields from the highest realms of academia!) recommends on this and why. So those individuals can make better-informed choices and decisions on the issue of lab testing. And that conversation was only made possible and transparent because of social media. That notion alone is mind-blowing. The average consumer would have never been able to have access to that kind of intelligence without the advent of social media. And that information is priceless and so is your health. 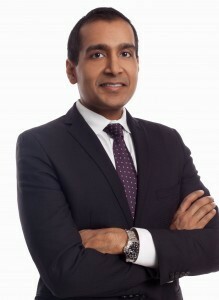 Sachin Jain, M.D., M.B.A., is the Chief Medical Officer at CareMore Health System, an innovative health plan and care delivery system subsidiary of Anthem, Inc.
“I agree wholeheartedly with you that physicians can use social media to counteract pseudoscience—calls like Mark Cuban’s as well as items like the anti-vaccine movement. Physicians are at a moment of feeling disempowered—their voices, judgment, and expertise are under assault by Internet searches; and a broader healthcare industry that often works around them, and not with them. Social media can be a way in which physicians can reclaim their mantle in health care discourse. So what do you think: Is social media healthy for the #digitalhealth conversation?” Let's hear it! 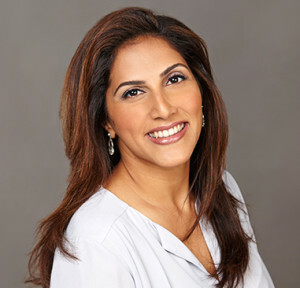 Images provided by David Shaywitz, Geeta Nayyar, and Sachin Jain.